Having tomato crops was not easy as the farmers had to fight for enough space, while the grape vines were all over the place. 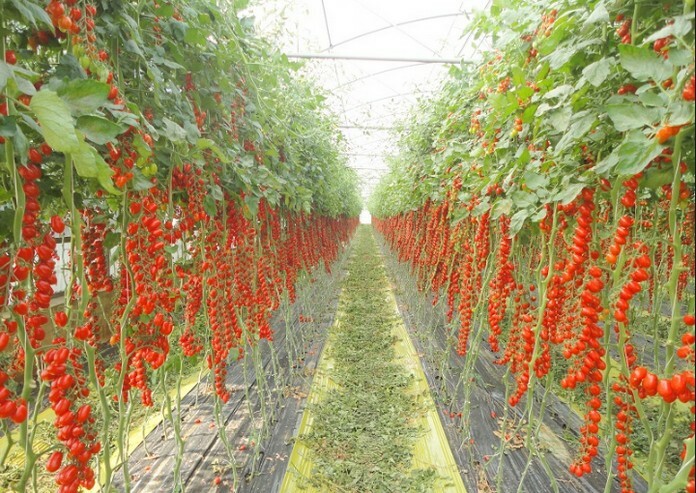 Despite that fact the tomato crops have spread and expanded since the 1950s. 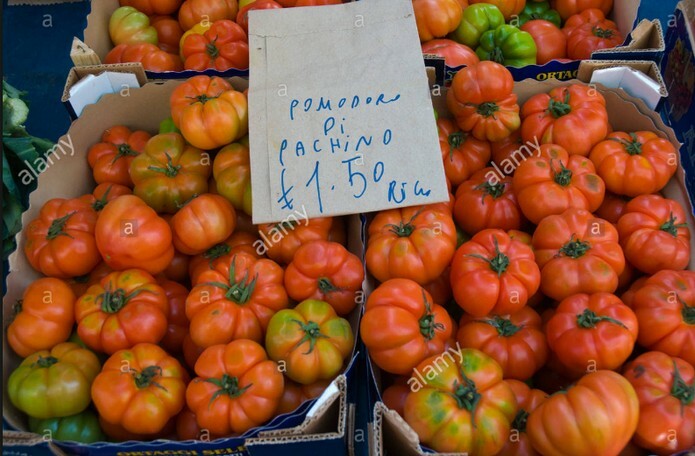 Of course, there are three types of Pachino tomatoes. 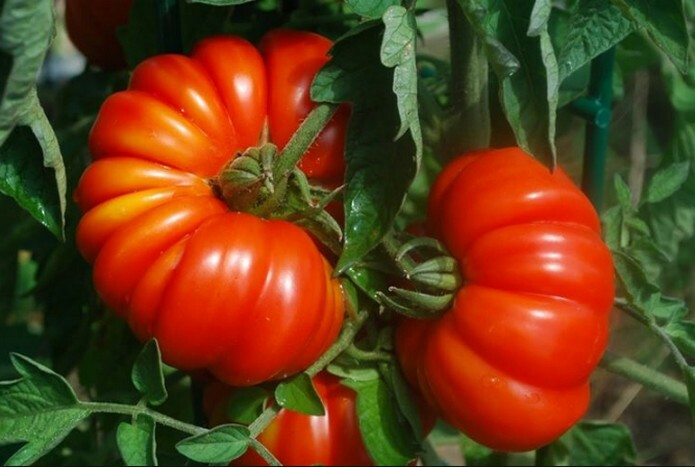 The round and smooth tomatoes are usually bright green, while the cherry ones grow in bunches are red. 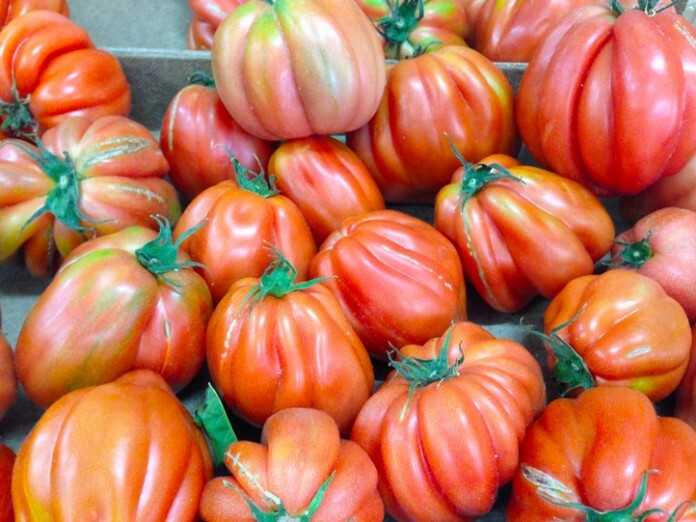 They taste sweet having a very smooth and shiny skin, which is characterized by its durability. Moreover they grow vertically having one or two productive branches. Their secret is that they are irrigated with ground water. 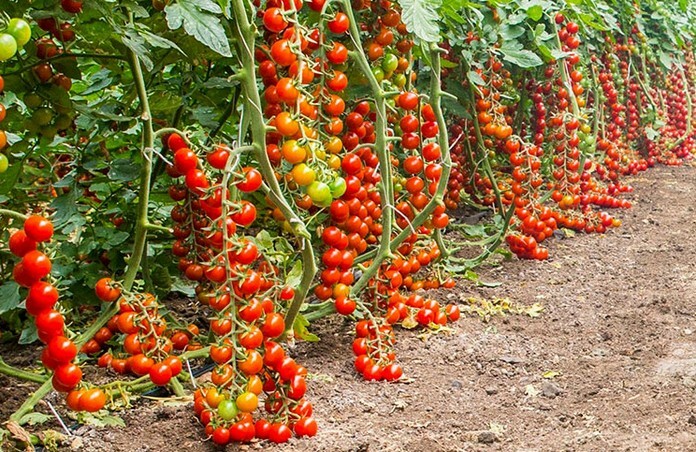 As for their salinity the water used for their irrigation has a salt content of 1,500 to 10,000 ms. Pachino tomatoes are picked by hand when the fruit becomes ripe, about 3 to 4 days after the beginning of the plant’s productive cycle. 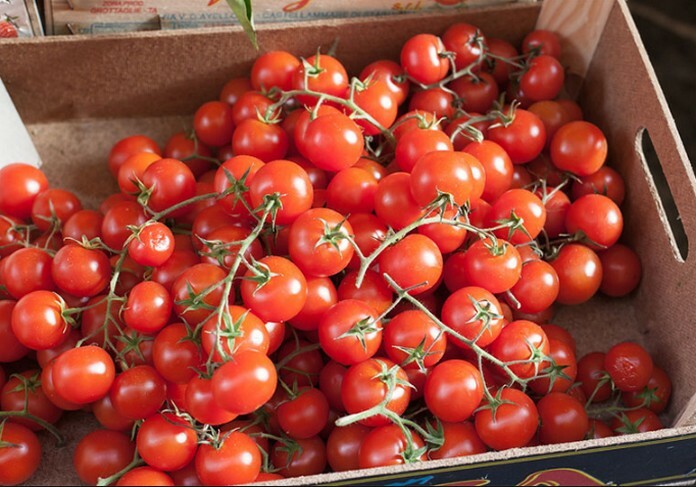 The best way to eat them is raw in salads, but you can also use them in pastas, pizzas or vegetable soups. 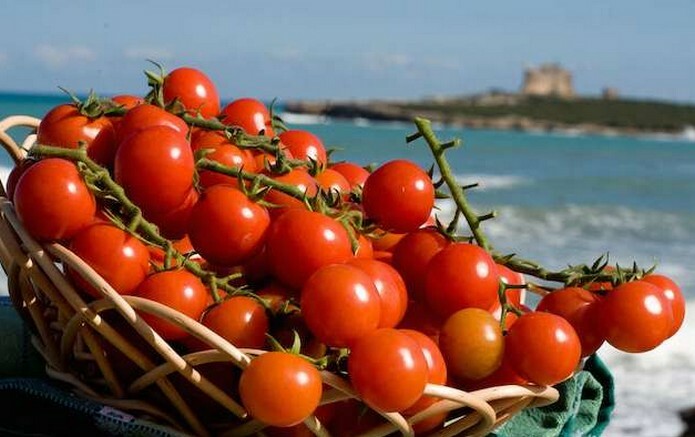 The traditional recipe Sicily is to dry them in the sun.